This period of focused growth is highlighted by the expansion of the campus's dimensions by 2 acres along the East River. The Niarchos Foundation–Rockefeller River Campus extension was conceived back in 2014 and is already a year into construction, with an anticipated three years left. Originally proposed as a way to address some of Rockefeller's more outdated research facilities, this $500 million expansion as a whole will further enhance the University's reach and provide researchers with a brand new life science research building, alone racking up a budget of $260 million. As the centerpiece of the River Campus extension, the Marie-Josée and Henry R. Kravis Research Building will provide Rockefeller's scientific research community with 2 floors and 135,600 square feet of modernized laboratory space capable of supporting over 400 scientists and 26 laboratories. This entire expansion project is expected to wrap up in 2019. While university members await this new extension, Rockefeller officials and the Kavli Foundation have wasted no time by making headlines twice in the last year with improvements to the university's main campus. Firstly, with a cumulative $100 million pledge as part of a multi-institute effort to support research focused on brain mechanics and understanding the many why's of such neurological conditions as traumatic brain injury, Parkinson's, and Alzheimer's Disease. Secondly, with the establishment of the Kavli Neural Systems Institute (Kavli NSI) on campus with the aid of a $20 million endowment. Kavli NSI will allow a number of Rockefeller's premier neuroscientists, biologists, and physicists to creatively work together and tackle the world's top biomedical/neurobiological concerns. With ongoing research projects continuing through the new laboratories and facilities being added to the campus, regular access to the newest and best lab equipment and supplies is crucial to the success of many researchers at Rockefeller University. 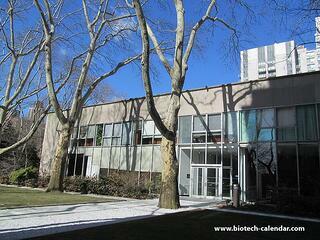 In order to help these researchers gain access to the supplies they need, Biotechnology Calendar, Inc. is hosting the 21st Semiannual BioResearch Product Faire™ event at Rockefeller University on September 30, 2016. 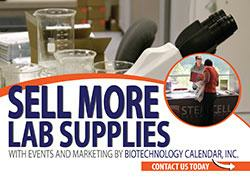 This popular semi-annual event is a great opportunity for lab supply vendors to meet members of New York City's life science research community on their own campus.